Does this skirt make my hips look huge Mom? I bought this skirt at Old Navy and had mixed feelings. I loved the length, colors and everything about it but I wondered if people would look at me funny in it. Well in true Lindsay fashion, I didn't really care much and put that bad boy on. 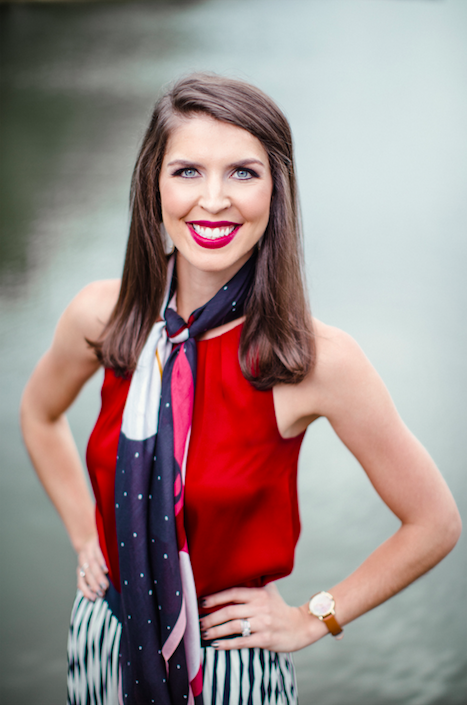 I had been searching for a maxi skirt everywhere and just couldn't find one and although this one doesn't quite hit the ground it still gets the job done and I love it! The man was an older man, had a few bags with him and his dog was stick thin and chewing on his leash. Of course dad had to get gas before we headed home and that ended us stopping at a stop sign that the man was sitting by. I looked back at mom and she looked at me and both of our eyes were filled with sadness. As we pulled into the gas station her and I went back and forth about what we could buy the man and his dog. The gas station near our house happens to have a Subway attached to it. When dad got back in the car after pumping gas we all headed into the store knowing what we had to do. We split up and conquered. Mom went and got a Subway sandwich, dad hunted for cans of dog food and I got a jug of water and cups. We paid for our stuff then hit the road back to the man and his dog. Dad pulled up beside him and handed him all the stuff. Of course I was sticking my head out the window telling him everything that was in the bag and instructions about using the cups and all, haha! He thanked us over and over and his little dog was so happy to see people he was jumping all over the place, it was precious. I told him God Bless and he said it back and looked like we had just made his entire day. Funny enough, we had never done anything like that before and the joy that it gave the 3 of us is something that I really can't describe. I hope that man found his way and a clean, dry place to lay his head. It's the little things in life, it really is. We're driving home with brand new stuff and this man had nothing. He touched my heart and I know he touched mom and dads too. Things like this make me so thankful of what I have in life. Every single thing. And things like this make me remember that I was given so many blessings not to use them all for myself, but to give to those who need it much much more than I do. 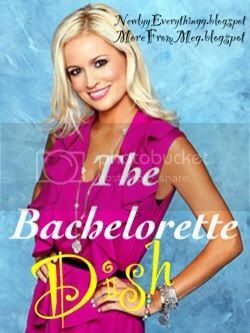 For the first time today I am linking up with Meg and Anne for the Bachelorette Dish! I can't decide how I feel about Emily...hope I don't lose followers over this one but sometimes she just rubs me the wrong way. Can't exactly put my finger on it. I LOOOOOVED her like no other on Brad's season but this go round she just seems a little something different. First things first- I am team Arie. I like him and Emily's chemistry together and he seems like he isn't trying that hard and things come very natural between them. To me, the deal was sealed when he was comforting her after the whole Alesondro. And Alesondro, REALLY dude?!? But lets be serious, why did he make it this far anyways? Heavens to betsy. I liked Ryan right from the beginning but after tonight I wish he'd show himself the door. Tooooo arrogant, no thank ya. He needs to quit talking so much and just be normal, I don't get all the cockiness. Sean, I like him. He's genuine, really nice, and says all the right things. He definitely needs to hang around. Bonus points for you fella for talking about your faith. Go head fred! Next up, Kalon. Ohhhh Kalon. I hope I don't lose followers over this one either but I don't hate Kalon. I don't love Kalon but I don't hate him. I feel like somewhere deep down inside he is a nice guy but just doesn't know how to show it. As Emily said last night, I think his mom did a great job of raising him but he just puts himself a little too high on a pedastol. If he just chilled out a little maybe he wouldn't be so bad. And I must admit, the guy can dress. I wish I could comment on Chris' date but the phone at the house was ringing off the HOOK during his date and my dad was trying to figure out how to skpe me at the same time...it was madness. I thought my mine and moms head was going to pop off there was so much noise during our show, haha! Overall, this seasons episodes have been slightly boring. Which isn't a good OR bad thing to me. So we will see how this continues to go. 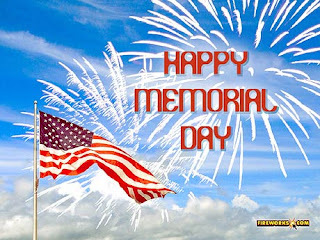 I hope that everyone has enjoyed their holiday and remembered our soldiers past and present that are and have fought for us and our country. I know I have enjoyed every minute of my three day weekend with my family. We had a huge cookout at our house yesterday and it was a great time. I had a SERIOUS urge to make festive treats and decorate our house for Memorial Day. So let me share with you my creative skills...ok, not skills but my attempt at being creative. Now onto my treats! I made pretzels that were chocolate covered on one end and had sprinkles on it and then red, white, and blue strawberries. For the pretzels melt chocolate, spread on one of the pretzel, add sprinkles and voila! Super simple and too cute for Memorial Day or 4th of July! And as for the strawberries. Melt white chocolate chips, dip the end of the strawberry in and sprinkle with blue sugar (or blue sprinkles). These were a hit at the party! As you can tell, Josh did a lot of work on these treats...best guy ever, hands down. Thanks babe! 1. Just the plain fact that is the THE weekend...and Memorial Day weekend at that. Which means mom and dad have 3 days off which mean they'll be home with meeeeee! Oh and Josh has 3 days off too! And we're having a cookout for the whole fam on Sunday, wahoo!! 2. The fabulous sunshine I am going to soak up by my pool today and the rest of the weekend...with sunscreen on of course. 3. Chasing after the meter man on Wednesday and begging him not to give me a parking ticket...no parking ticket, score! 4. We finally got wi-fi in the house! Can I get a hip-hip-hooray?!? No more being hooked up to the wall, boo-yah! 5. My new keyboard cover for my laptop! I hope everyone has the BEST weekend, do lots of relaxing, I command you! 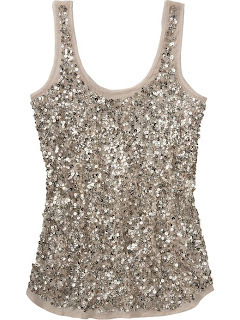 I love sparkly shirts, love love love them and when I found this lovely one the other day I was in heaven! I had a gift card to spend at Express and I found this baby on sale for $20! Oh I just love this shirt. Express has some really cute summer time sparkly/sequin items in their store right now and a lot of things were on sale! I'm in love with that last one. Love the loose, flowey shape! Now, go right this instant, scan your closet. If you don't see anything with sparkles or sequins head to the mall pronto! 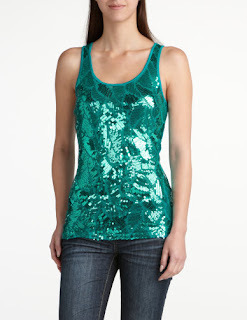 You can make a sequin top as casual or as dressy as you want, it is extremely versatile. Sparkles are fabulous and so are you! Anyone else with me on this one? Raise of hands please...thank you. Some days I'm lucky and other days not so much. I'll be minding my own business, putting on my mascara and next thing I know it's all on my eyelid, beside my eye, drives me nuts! Oh and I am CLASSIC for having to sneeze right after I do my mascara...then it is every where, I'm talking a total mess. Does anyone have any miracle ways to put on mascara without it getting all over the place? And I like to think that I don't do anything crazy while putting it on. Just the normal steady hand. Maybe my eye lashes are long and that's why is rubs on my eye lids sometimes? I don't know. Mascara and I have a love-hate relationship. And while I'm ranting, let me say this. I hate downtown Columbia traffic and I HATE parking meters. Loathe them. I got my first parking ticket last week and I was one angry gal. Can't they cut a sister a break?! I feed all my money to that meter all day every day and I'm late to feed it and you give me a ticket? Shame on YOU parking people in your yellow shirts. Shame on you. Have a beautiful Wednesday my lovely friends! Summer has a lot to offer. A lot of opportunities to get out and do things and enjoy beautiful weather. I feel like I have a problem every time summer rolls around...and that is problem is: I've been waiting for summer to come for so long and I want to embrace every moment but I feel like I can never come up with things to go and do. Josh and I are going to do lots of fun things this summer, love that guy! Hopefully this list I'm going to post will help me and you too if you need ideas for the summer! Alright folks, there's 30 ideas, THIRTY! And that doesn't even put a dent in all the things that you can do this summer. If there's anything that isn't on the list that you love to do in the summer please share! Summer is a great time to make memories, enjoy yourself, enjoy being with others and relax. Here's to a great summer 2012!